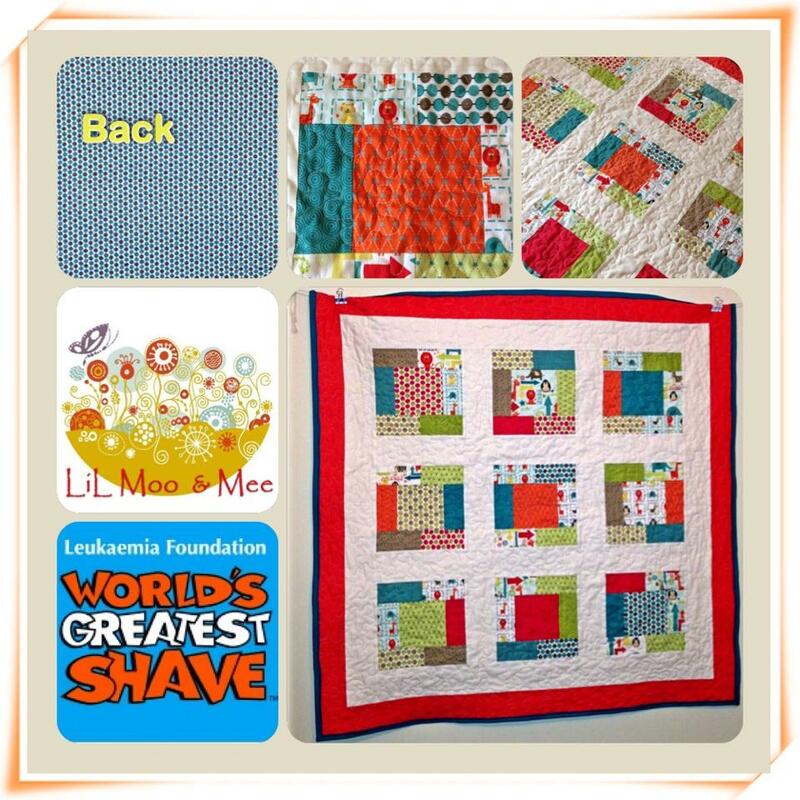 I have decided to donate the sales of this Quilt to the Leukaemia Foundation. We had a couple of brave people in our town shave their heads for the Worlds Greatest Shave, so I thought what a perfect Foundation to donate too and its my way of giving something. 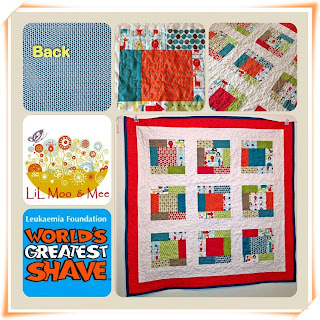 Its has a burn't orange border and teal binding is, 105x105cm with a batting centre. Price is $160 and postage is free.